Storm-triggered heavy rains and floods caused serious traffic jams and damaged many construction projects in northern provinces on July 26. In the early morning, rainfall of 63-67 mm was recorded in parts of Lao Cai Province, including Van Ban and Bat Xat districts. The torrential rain destructed many rural infrastructures, injuring three people. The Hoang Lien Son 1 line was blocked by scree, which slid from the mountain, causing a serious traffic jam. In Yen Bai Province, there were 13 more houses submerged by rising Hong River’s water level, increasing the number of houses flooded by tropical storm Chanthu’s gyre to 145. However, according to the National Hydro Meteorological Forecasting Center, floods left the storage tanks of hydropower plants completely full, including Hoa Binh, Tuyen Quang, and Thac Ba, ensuring that power generators were running at full capacity. This helped to ease the tension caused by a shortage of power in the north, as well as in the country in general. 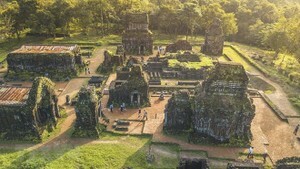 In related news, many streets in the northern gate of Hanoi experienced major congestion after the Duong floating bridge had to be removed because water levels in the Duong River surged too high. Despite the efforts of traffic police, traffic jams continued to prolong commutes. Local residents said after the floating bridge removal, relevant streets have been jammed between 6am and 10am and from 4pm to 8pm each day. 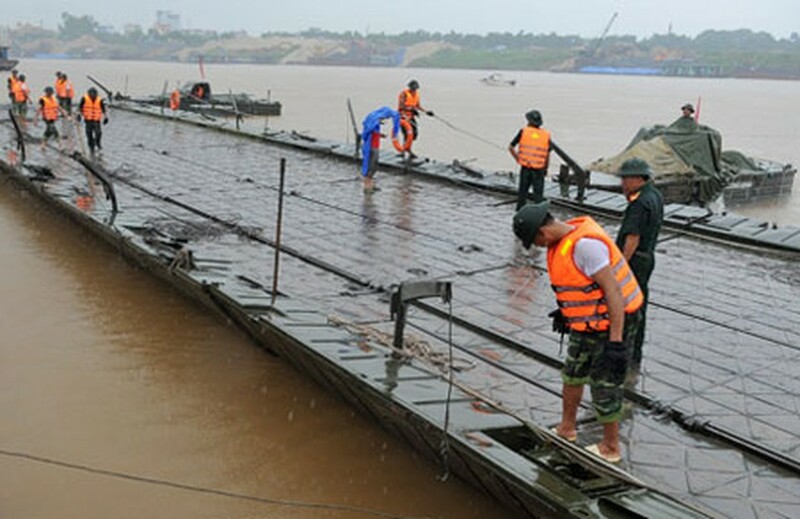 The Hanoi Transport Department said the engineer force started to install the Duong floating bridge to restore traffic order in the area in the evening of July 26. However, they had just finished 50 percent of the installation as of 6pm, as the river’s water level remained high. The engineers had to call a halt the project in order to monitor the water level.